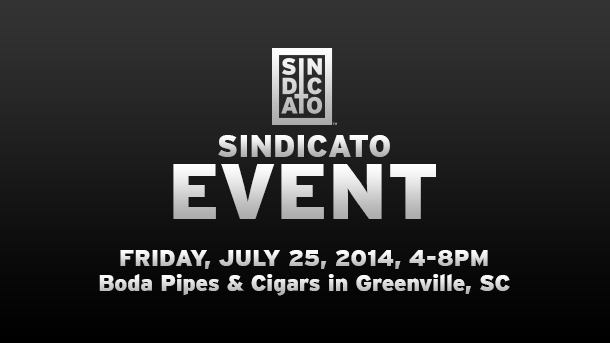 Come on out and celebrate Sindicato with Dickson Wier at Boda Pipes & Cigars in Greenville, SC. 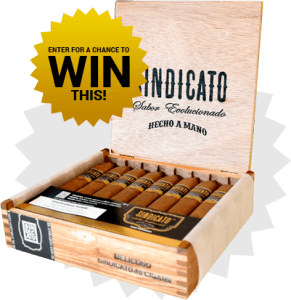 If you haven’t tried a Sindicato brand yet, now is a great time to come to our event and learn about our company. If you have tried one of our brands, now is a perfect time to get a deal! Buy 4 Sindicato, Get 1 FREE! Buy 3 Hex, Get 1 FREE! Buy 3 Affinity, Get 1 FREE!